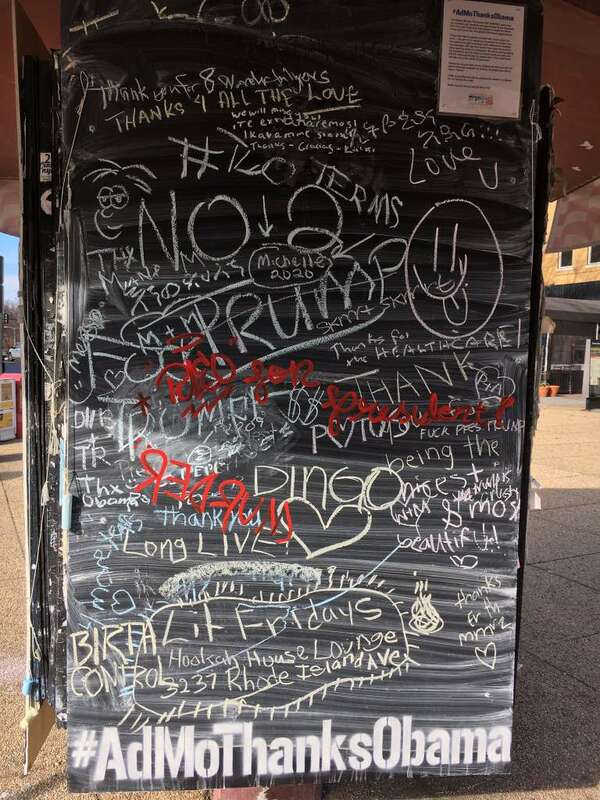 Two weeks ago, the kiosk near 18th Street and Columbia Road NW became a chalkboard where locals could leave messages for outgoing president Obama. Now, the sign may have to be taken down for a deep cleaning. Someone vandalized the sign with red nail polish earlier this week, according to the Adams Morgan BID. The organization tweeted about the vandalization Wednesday. 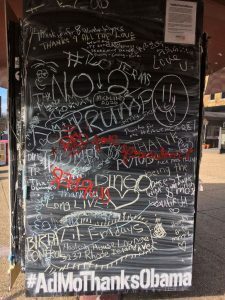 Though the group is brushing up on its “nail polish removal tactics,” a representative said the sign may have to be removed soon for cleaning.